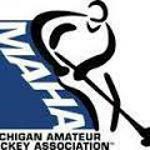 For 2019-20 GCHA Sponsorship Information please download a Sponsorship Form located on the left side of our home page under Forms. Click Here To Enroll in Kroger Community Rewards. A percentage of your purchases will go to Garden City Hockey. Our enrollment number is FC115 or you can select enroll and look for Garden City Hockey Association. Thanks... Every little bit helps your association.